The Smartphone has opened a wide range of possibilities beyond make and receive calls, take pictures, listen to some music. Current operating systems offer great advantages for use as tools. We already showed ten reasons to choose a Nokia Lumia Enterprise. 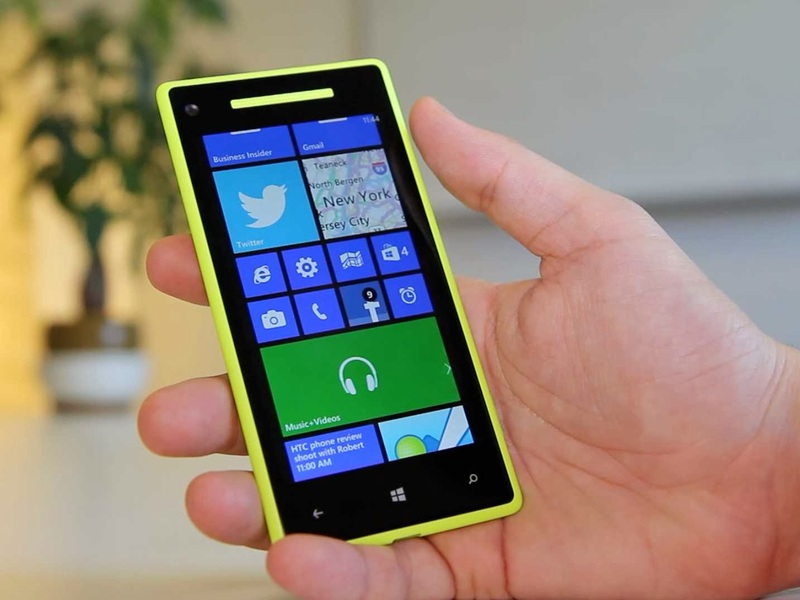 Now it's go a little further and see five tips for working with Nokia Lumia with Windows Phone. Because not only have the tools to be productive enough. Learn seize and optimize their use is even more important. As they say, the tool itself is not important but how you use it. The home screen found on Windows Phone that has to be our first destination in search of productivity. It is important to optimally configure, allowing a glance, see all that important information such as appointments, reminders or events. And access to key documents or applications with which we are working. An example of productive home screen. Access to voicemail. If our work depends in part on the communication that we have with customers or suppliers via telephone, it is important not to miss a call. But for various reasons, there may be times when we cannot answer or do not have coverage. Turn on voicemail and establish access to the home screen, allow us to have visual information and quick access to it to listen to the messages they leave us. Access to instant messaging. As with voice mail and instant messaging is a fundamental part of our day to day technology. Having closed your Live Tile we provide access for the many times that we do throughout the day. Email. When we create a Live Tile with email and also speed your access, we will show the last message received. Thus, without having to access it can know if an important email from our boss or partner, or just something that can wait for later to be managed. Nokia Lumia addition you can manage multiple email accounts from your home screen. Calendar. With the Live Tile for calendars you can meet upcoming meetings, appointments or events that you have marked. This allows us to clear our minds and focus on what really matters. Nothing to consume resources of our brain trying to remember the next round of work or even going to the dentist. Office and OneNote. The quintessential productivity suite and OneNote, very useful application notes, allow us to work on the same Office documents that we could use in our PC or take notes quickly so you do not forget anything. Not even while traveling in the metro. With the Nokia Lumia Office version, you may well see, you change all the documents and then save them back and have them always available. Contacts, Browser, and Settings. If we need to see some data on the Internet, locate the phone from someone or just modify the terminal settings, have access to their hand will be very useful and practical. Anchor whatever you need. Of course we should not only focus on these aspects. According to the work of individual needs may vary. There may be essential for some that are not other applications. Therefore, the organizations make good use of the home screen of Nokia Lumia and anchor everything you need. Can be Excel documents with sales data or a Word document with the roadmap of the project. How to anchor an item to the Home screen? Probably already know, but if not here goes an explanation with which check that it is easier than you imagined. When you're on the item that interests you, you can be a photo, a word document, a game, an application, a website, etc., hold the item and you will see a message that gives you Pin to start. Automatically be lashed to the home screen. Sometimes, depending on the item, we will choose several to then click on the pushpin icon so it is anchored. The Nokia Lumia Windows Phone terminals allow us to work with Microsoft Office documents stored in different places. No matter if they are stored on the device itself, enclosed in an email or in our SkyDrive account. We just go to the Office hub and we can easily open it. Of course, also create new ones. All without having to install anything. Microsoft Word Mobile, Microsoft PowerPoint Mobile and Microsoft Excel Mobile and are integrated into the hub of Office of the Nokia Lumia. Thus, combined with SkyDrive or SharePoint we can keep working on the same documents that were using our PC or vice versa; fix some point before sending to the client or add new information in the office they can continue working. This way nothing will stop the workday and wherever we are we will be able to take advantage of every minute then, as a reward, have more free time. SkyDrive using the cloud not only has advantages in synchronizing files and data between devices in a single user, also allows us to share and work collaboratively. With SkyDrive, available for Windows Phone, Android, iOS and desktop clients for Windows, Mac and web access, we have access to everything we need, we and our colleagues. SkyDrive is the easy and convenient option to share office documents, images, multimedia files, etc... from your Nokia Lumia. SkyDrive, the place where we store our files for access from virtually any device. Skype, video calls and messaging application through internet to be in touch with the office or colleagues. Evernote notepad notes online. A tremendously productive application that can be used in multiple ways. As activity log, backup OneNote document storage, documentation, etc..
TeamViewer, an application that lets you take control of your computer (Mac, Windows or Linus) remotely. Imagine arriving home and cannot remember if you turned off the computer, or want to upload to SkyDrive document that you saved on the desktop. Safe and easy to handle, show us a remote desktop on the screen of your Nokia Lumia with Windows Phone. Task is a simple task manager, with which we can manage our tasks or just use it to record everything then when you get home will manage to organize the following days. Free SuperTimer, simple software that allows you to set different countdowns that can serve to implement the Pomodoro technique, or better management of time we devote to focus on a task, to find the maximum productivity. The last tip to use Windows Phone to work is to take care of security. All data are important, whether you are the pictures from your last vacation, an email with the letter of the kings of our son, etc.. But labor issues have a special meaning, especially because it not only affects us also to clients, colleagues or even administration. Use key. It is important to set a password on your device. Avoid someone without permission to make calls, send a mail or see information that should not have access. This key or PIN can be used not only to block access to the terminal, also to avoid using the SIM or shopping in the app store. Enable password is a simple process. Go to Settings> Screen lock and Password we activate. We write and confirm the password and click done. Regular backups. Use SkyDrive gives us an important advantage; our data will always be safe. But if there are others who only store in the terminal and not in the cloud. So establish regular backups are the best way to be sure not to miss anything. Doing so is not complicated and we will create copies of installed apps, call history, accounts configured, Internet Explorer favorites, and more. How to do it is something you can check on the website of Microsoft. Find My Phone, a free service to always be enabled. If lost or stolen, we can locate it on a map from your computer, block or even delete it. In addition to sending a message that, who found a kind soul, you can return it. Find your phone is configured only once. Then forget but will always have the peace of mind to act if needed. If you had every reason to choose a Nokia Lumia, now you also have tips for after the leap from other platforms such as Android or iOS, Windows Phone work with it simple and productive five simple tips. While writing this informative post, I came across Bootstrap themes, which offer create premium Bootstrap themes for you and your clients.